What kind of love makes a difference?A bold yet compassionate love is a trademark of Jesus Christ. Love without limits. A world-changing love. Can such love be reproduced in the lives of sinful men and women like us? Is it possible to follow Jesus' model of giving and receiving love? 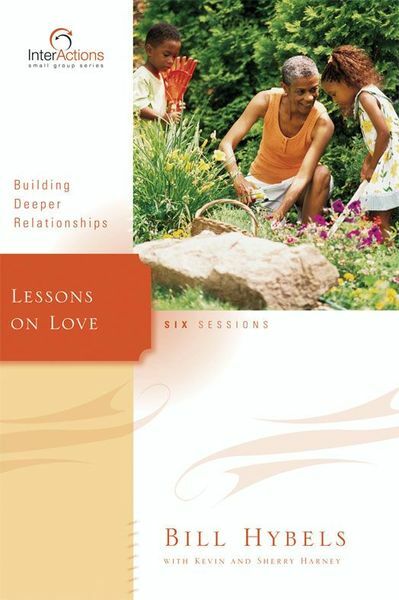 In Lessons on Love, you'll find out how. You'll learn about the various kinds of love, beginning with forms of love you'll recognize—and ending with a supernatural love so awesome it can utterly transform lives. Christ's love. The world around you will take note when you unleash the power of Christ's love—and it will never be the same.Interactions—a powerful and challenging tool for building deep relationships between you and your group members, and you and God. Interactions is far more than another group Bible study. It's a cutting-edge series designed to help small group participants develop into fully devoted followers of Christ.